The Native Plant Show will inspire you and give you the information and networks you need for success with native plants. General admission is just $10 and over 20 continuing education classes range from $10-50 when you sign up by the earlybird deadline. The Native Plant Show is best known for its success in attracting landscape architects, who set new trends in landscaping and lead the way in planning sustainable landscapes. One in five attendees is a landscape architect or designer. 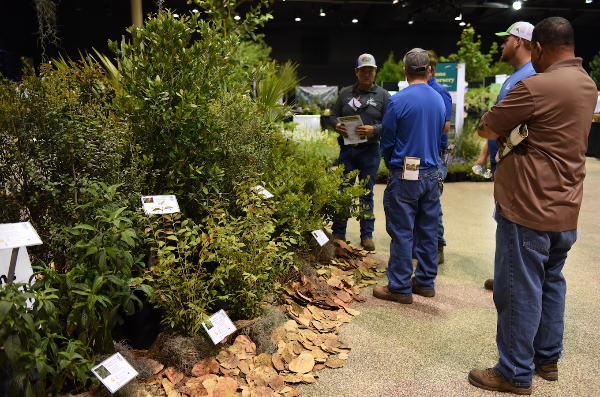 The show attracts a cross-section of professionals from the horticulture, landscape and environmental sectors, all eager to capitalize on the rising interest in native plants. PLUS: municipal leaders and community association managers eager to reduce water consumption. 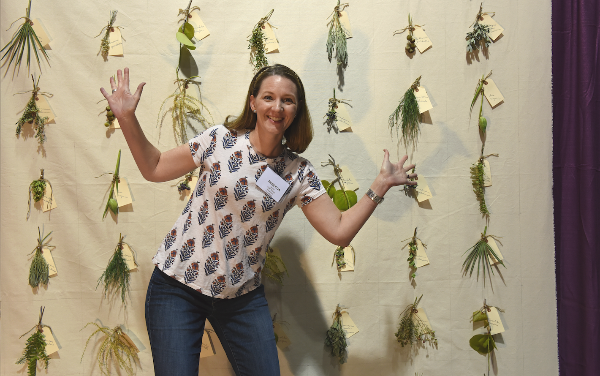 Pictured is Rebecca Morris, landscape architect and owner, RSM Design, enjoying a botanical specimen display at the show. FANN has been providing LAs and designers with continuing education for over six years and welcomes every opportunty to help you meet your sustainability goals. By seeing the plants and talking with growers, you can make better choices and produce plans with a greater chance of long term success. Are your customers asking for more native plants — or plants that need less water and fertilizer, are low maintenance and attract butterflies and pollinators? Native plants don’t have to be hard to find. Come to the show to learn who has them, in the sizes, quantities and quality you need. You can even learn how to grow your own with tips from the University of Florida.